Our agency offers a variety of travels and tour packages in Liguria and in Cote d'Azur which can be made to measure your wishes. 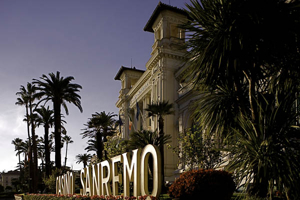 San Remo Tour Operator: we specialize in the Italian and French Rivieras – we know all there is to know about their secrets! There are so many reasons to organize a tour in Liguria and the French Riviera: the mild climate, the magnificent botanical gardens and flowers, the wonderful treasures of our wines and cuisine, the sophisticated style of our famous resorts, not to mention the wealth of top quality facilities and services: hotels, restaurants, museums, wine cantinas and olive oil mills. Our great advantage is in promoting the place where we actually live. We can offer the excellent services and expertise that come from decades of experience in welcoming tourists from all over the world to our region. The Riviera offers a mild climate all year round, providing a variety of opportunities ranging from major events to botanical gardens, from leisure resorts to villages set in inland valleys. We invite you to discover the Riviera with its cities: Genoa, San Remo, Monte Carlo, Nice and Cannes, as well as its traditions and its medieval villages in inland areas, prehistoric caves, Roman ruins and the treasures of the Belle Epoque. The mild climate and the wide range of scenery ranging from the peaks of the Maritime Alps to the shores of the Ligurian Sea provide the ideal destination for cycling enthusiasts, whether they are fans of road cycling or mountain biking.